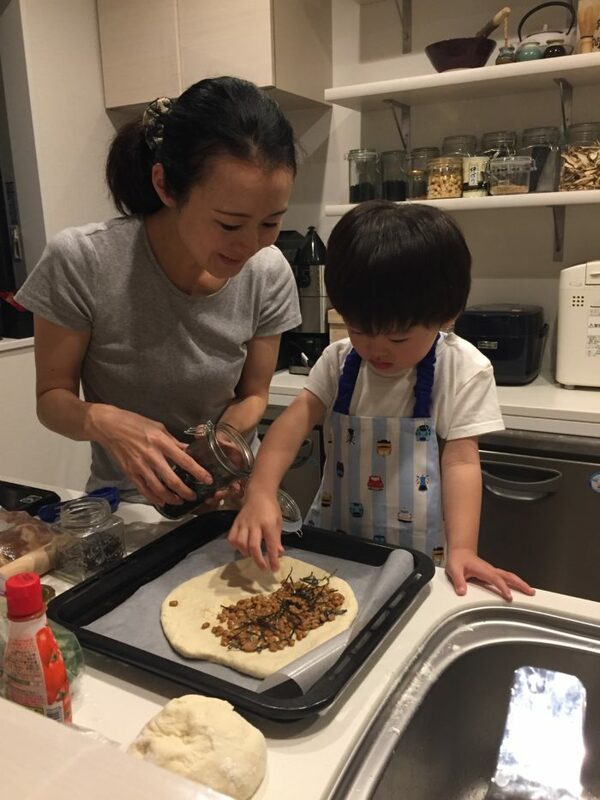 Family Cooking : Pizza Time! On weekend, I make homemade pizza for dinner. My son Kengo is interested in cooking (or tasting) recently so I put small chair next to me so that we can cook together. We usually make four kinds of pizza. Recently, we tried those four. It’s always fun to do the experiment to find the best combination. I think Kengo eats more vegetables than before. Next time, what ingredients shall we put? If you have a recommendation, please tell us!